The pumper is the backbone of your firefighting fleet and Rosenbauer offers more pumper options than anyone. No two are alike! 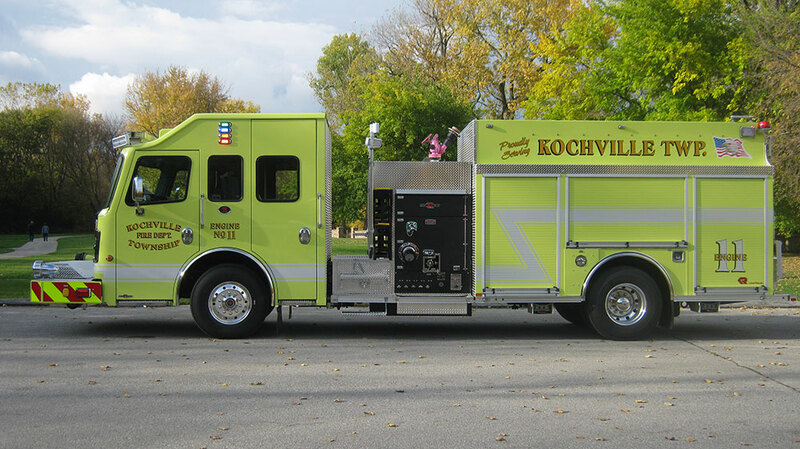 Whether mounted on our Rosenbauer Commander custom cab and chassis or on a commercial chassis, our pumpers come with multiple choices for pump controls, tank sizes and pump sizes as well as a variety of options for generators, lighting, and more. We also offer more body construction methods than any competitor. Call FLSI today to help you design your next pumper. Rosenbauer offers Wildland pumpers, designed to meet NFPA or USDA standards, including our Timberwolf, featuring the exclusive Rosenbauer pump that provides standard pressure and high pressure pumping at the same time.